Decoy Lakes was not the only venue struggling to produce big weights at the weekend. 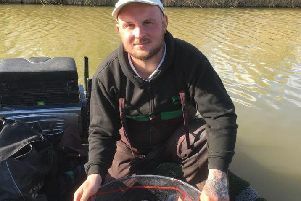 In the Saturday Rookery Waters match fished on the Magpie Pool, Sensas Mark One rod Josh Pace topped a strong field with 44lb 14oz. Drawn on peg three, the Wisbech-based rod caught on soft pellet fishing the long pole. Mac Campbell continued his good winter form by taking the runner-up spot putting 40lb 4oz to the scales, then came John Cartwright with 36lb 10oz. In the Wednesday Over 60s open on the Jay Lake, John Belshaw caught on bread to win with 55lb 6oz. Runner-up was John Millard with 54lb 10oz followed by Roy Whincup on 37lb 12oz. It was tough going at Float Fish Farm Fishery too. In the Wednesday Over 55s match, Stan Dow once again took the honours, this time from peg 31. Fishing a short pole line with meat, seed and sweetcorn, he caught carp to 6lb to finish with 45lb 2oz. In second place was Danny Carlton with 40lb, then came Roy Wells on 29lb 15oz.